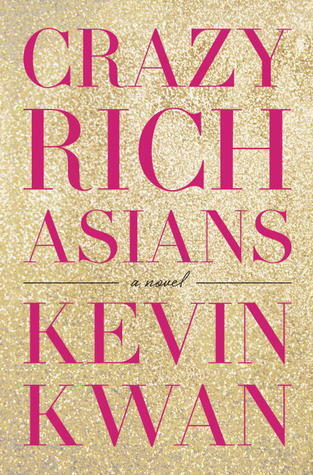 This book – written by Kevin Kwan, was recommended to me by my friend, Rio and it has been sitting in my e-book reader for months before I finally started to read it. When I finally started to read it, I was not too interested on it – I spent some time only reading few pages daily. But as I turned more pages, I got more and more hooked to this book. Like the title, it tells the story about “Crazy Rich Asians” – Chinese people with generations of wealth currently living outside mainland China. The story revolves around a young Chinese couple who lives in New York, Rachel Chu and Nicholas Young and their travel to Nicholas’ hometown in Singapore to attend Nicholas’ best friend’s wedding. Rachel – coming from a middle class immigrant family, did not realise that the Youngs are very rich and extravagant. Nicholas’ cousins, extended family and relatives are the the kind of people you would see in high – end lifestyle magazines. Nicholas’ family house looks like a castle filled with luxury items which Rachel has never seen before. The private jets, luxury cars, social evenings and fancy dinners make Rachel feel overwhelmed. Plus, she thinks that Nicholas did not prepare her for anything of those at all, thus makes her shocked and confused. Nicholas – educated and worked in the West, thinks that all those wealth are his family’s, therefore not important to him. He simply thought the trip would be just an ordinary trip with the woman that he loves. What he missed to prepare is how to handle the way his family – especially his mum, reacts to him bringing home a girlfriend. How do you think his family reacts? What happens to Rachel & Nicholas’ relationship during their trip to Singapore? It is indeed very entertaining, witty, and enjoyable to read!